The people are gathering by the edge of the ocean shore. Their interest quickly increasing; gazing at the water wondering what has become of the lady that casually entered the ocean and now is nowhere to be found. It’s a race, frantic search so that the life of one would not be lost. Those trained to rescue life; to intercept death; the lifeguards quickly engage as they enter the body of water. This story was written when I was about 10 years old. My father’s secretary, her name was Betty, at the time learned that I enjoyed writing and gave me a gift that is now echoing in my life at the age of 51. 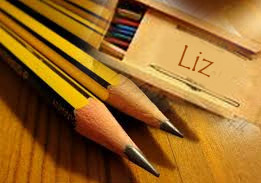 She purchased a cedar box of pencils that spurred me to write. I can still smell the wood as it brings me to my Bronx apartment window that faced the roof of the building next door. By that window I would begin to write my stories. I did not know what to write so I would look through magazines, cut out a photo that I liked and then I would let my imagination run. My image, a beach with spectators; I began to fabricate a story to go with my new found inspiration. Decades later I am still writing but I have discovered a new inspiration! The very true Word of God speaks very clearly. I find myself dialoguing with my God about everything; joys, fears, things that perplex me, anything that’s on my heart. As I recently thought about this little 10 year old writing (me) it confirmed a reality about the scene on the beach. We are all like the lady that was missing in the midst of this vast ocean. Many are wondering if we will live; if indeed we will be rescued. There is a cloud of witnesses standing on the edge wondering if life will escape us. We are born and engage life without realizing that the Good Lord has left us instructions; a letter of Hope; a love letter that reveals a heart that is relentless; the heart of the Father that will do anything to rescue me. I am no longer writing my story with my number two pencil in my cedar little box, but One greater than me is revealing a story he has written about me. The perils of life are all around me luring me toward my demise, but here comes the Life-Savior, the One who guards me life. The Father’s love dispatches One who can rescue and revive the dead. Yes, he can pull those that are drowning and breathe new life; a life that will be so new, we will look back and say, that was the old me. He rescues, restores and redirects. Hallelujah! So from what I can recall, the lady in my article was rescued by the lifeguard. The crowd cheering that she was found and saved. A little glue on my construction paper; add the cut out image and my imaginary story came to life. It concludes with a happy ending. Life is not an imaginary story where everyone lives happily ever after. Life is precious and quickly vanishes. He whispers and calls to us; he is the Lifeguard that came to guarantee life, eternal life! Have you seen him running when you have been far off to meet you at your point of need? I have. He has rescued my soul and life has begun again, a new life for me. encumbrance and sin which can easily entangles me. The crowd cheers, run with endurance the race that is set before you, fix your eyes on Jesus, the author and perfecter of faith, who for the joy set before Him endured the cross, despising the shame, and has sat down at the right hand of the throne of God. Do not grow weary or lose heart. (Hebrews 12:1-3) He reminds me he has rescued me and will continue to be the one who guards my life. The Spirit of God, who lives inside me, continues to spur me onto good works. My story has ended well. I too got rescued. Drowning? Feel overwhelmed? Call for the Life-Savoir; you’ll notice he is already coming toward you—just surrender. I will yet Praise Him! When life is difficult and joy seems to elude us, we must quickly recognize who is surrounding us; discouragement, defeat, every spirit contrary to the Spirit of the Lord because their task is to keep us from hearing the delivering message that the Lord is speaking to us. We worry and have conversations with ourselves about our dismay, about all that “is not”, all that we “cannot do”, a story of wows. David learned to encourage himself to victory; when depressed he wrote, Why, my soul, are you downcast? Why so disturbed within me? (Psalm 42:5a). This is a prayer that we must learn quickly; this is an attitude that we must grasp with tenacity; this is a vision of victory that we must practice so that the voice of the enemy will be silenced. Let’s take a quick survey and ask, who is dictating the look of our countenance today? Let’s be careful to hear the messenger when he says, “we’re outta here” (my version of Exodus). I was reminded of an old hymn, “His eye is on the sparrow”. I began to sing as I began to write. I quickly began to gently embrace every tear that streamed down my face this morning. You see, as I continued to worship the Lord my eyes were directed to the kitchen window; a little bird flew on one of the bare branches outside by the deck covered in snow almost on queue. What a picture of God’s trust. 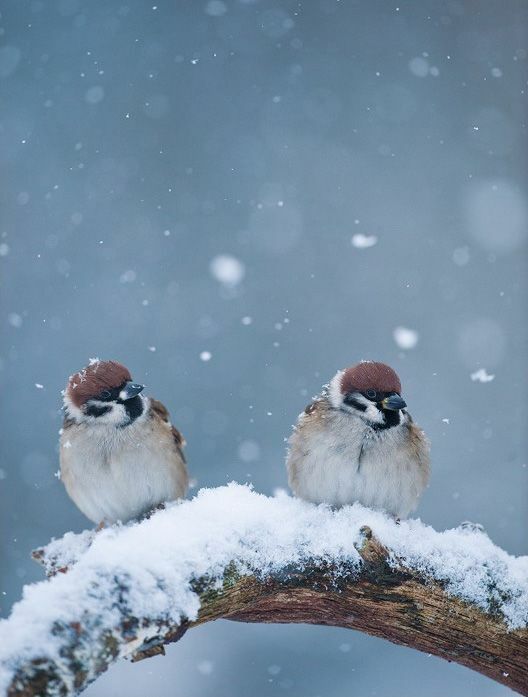 It’s freezing outside and this little bird does not pay attention to what his little eyes see; he is not concerned about the temperatures that continue to drop; he knows that food for his little belly will come. Deliverance; well surely Spring is on the way and soon his morning song will be even louder for all to hear; for my ears to hear and remind me…”his eye is on the sparrow and I know he watches me”! Does not wisdom call out? Does not understanding raise her voice? At the highest point along the way, where the paths meet, she takes her stand; beside the gate leading into the city,at the entrance, she cries aloud: “To you, O people, I call out; I raise my voice to all mankind. You who are simple, gain prudence; you who are foolish, set your hearts on it. Listen, for I have trustworthy things to say; I open my lips to speak what is right. My mouth speaks what is true, for my lips detest wickedness. All the words of my mouth are just; none of them is crooked or perverse. To the discerning all of them are right; they are upright to those who have found knowledge. Choose my instruction instead of silver, knowledge rather than choice gold, for wisdom is more precious than rubies, and nothing you desire can compare with her. The very Voice of God calling out to us, pouring out Himself to those who would listen. It got me thinking, what did God do, how were Adam & Eve escorted out of the Garden? Scripture says that he reprimanded Adam and Eve. To Eve he said, “I will make your pains in childbearing very severe; with painful labor you will give birth to children. Your desire will be for your husband, and he will rule over you” (Genesis 3:16). To Adam he said, “Cursed is the ground because of you; through painful toil you will eat food from it all the days of your life. It will produce thorns and thistles for you, and you will eat the plants of the field. By the sweat of your brow you will eat your food until you return to the ground, since from it you were taken; for dust you are and to dust you will return” Genesis 3: 17b-19). As a parent when I reprimanded my young son, there was always an ache in my heart even as I did so. You see, my son, my only son was in the process of learning right from wrong. As flawed as I was and still am, there were principals that I had learned from my parents and wanted to instill them in him. Respect for others, not lying, helping one another; listening and obeying, it was for his good. When I became a believer and he was only 5 years old, well there was even more that the Lord was not just able to teach him, God was teaching me! I could hear the Voice of God guiding our lives and bringing to the surface all that needed to change in us, in me. A people being called back and changed to reflect his glory. God's perfect creation, man, unable to follow his simple instructions in a perfect paradise. Give the enemy an opportunity to entangle lives and bring havoc and he will. As the Lord walked and talk with Adam what was that like? A place of worship, the created marveling at the Creator and all he had made for him. God would allow Adam to name the animals, and he did. Every fragrance emitted by the numerous flowers, inhaled by Adam's nostrils. Colors that popped out from the landscape, Adam's eyes enjoyed. Textures like the sand running through his hand; an excitement every time he discovered something new; all his senses relishing in all of God's good earth. Rocks and mountains that he climbed, a contrast to the softness from the grass under his feet; all his senses awake, nothing escaping him. Above all that he could adore, nothing compared to his complete, untarnished fellowship with God! Lurking in darkness, the evil one enters and paradise would be blemished, tarnished and man would feel the effects. Death would ravish not only the children but all creation. All that the Father taught; all that he informed his creation about; all the conversations and the even warnings not to eat from the one tree, the tree of the knowledge of good and evil; the Voice of the Father was ignored and exchanged for the luring sound of temptation presented by the evil one. We warn and we train up our children; even counsel one another to stay close and hearken on to the Voice of God. We at time witness the repercussions and even experience ourselves when we fail to obey. The day the Lord put Adam and Eve out of the Garden, it was brought on by disobedience. The character of God is fully immersed in Love; the Bible says that God is Love. As I re-read Proverbs 8 today, I had a thought. I could imagine my God, my Creator, my Father as his disobedient children were being escorted out; his love pouring out in warning yet once again; “To you, O people, I call out; I raise my voice to all mankind. "You who are simple, gain prudence; you who are foolish, set your hearts on it. Listen, for I have trustworthy things to say; I open my lips to speak what is right. My mouth speaks what is true, for my lips detest wickedness. All the words of my mouth are just; none of them is crooked or perverse.To the discerning all of them are right; they are upright to those who have found knowledge (v 4-9). Like a young imperfect mom trying to teach her little boy, so does the Perfect Father who has no flaws draws and calls for those he escorted out of his presence to come back, to return home; he has a gift waiting for us; His very Son paid for our return. The calendar says this is the weekend of Love. Since forever God's has been speaking out of his Love! 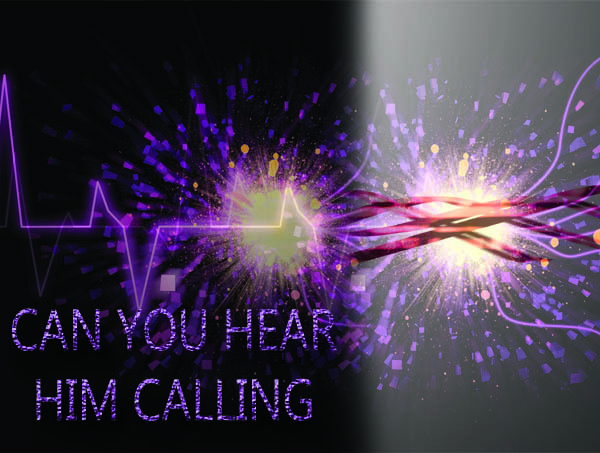 Can you hear him calling! Love is an Action | Thank you! I can barely see my car tires; snow is piling up and the wind drift makes it even worse. 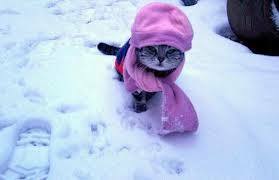 It's very cold outside! We almost escaped the brutal winter, but slow as it may be; it has arrived! I write imagining how cold it may be outside-- you see I am looking out the window. I have not even changed from my pajamas and its noon time. Today as the wind blows and the snow is slowly changing to freezing rain my husband and my son gear up to battle the elements that await them outside. As I look out the window I see love in action! I'm thankful for my husband and my son who have ventured out so that as my feet go across the walkway tomorrow, the path will be safe and secure. My car is brushed off and warmed up. The walk is salted and my concerns have faded into the hands of the men in my life. Perhaps you are also experiencing the blessing of someone cleaning your car or your walkway. Perhaps they went outside to get the wood for the fireplace; don't forget to express your love for them! You forgot to get the bread and milk and they volunteered...don't forget to say thank you. If you are the one outside cleaning snow, freezing your hands and having the wind whip your face...Thank You!! February is the month where love will be highlighted. Don't forget to express your heart to those around you; those who serve you; those who are extremely important in our lives and we at times neglect to let them know how much we love and appreciate them. Yes, I was inside nice and warm with the kitty cats. Oh, I made sure that when my heroes returned, they arrived to a warm meal. Late lunch together...thank you Lord for my husband, thank you for my son!